Since 2006, Wheat Ridge family law attorney Rebecca Gumaer has been guiding residents of the Denver metro area through devastating family law issues and marriage and divorce proceedings. The Fro nt Range Family Law firm is a full-service family law firm with extensive experience handling all aspects of marriage, divorce, property division and custody. 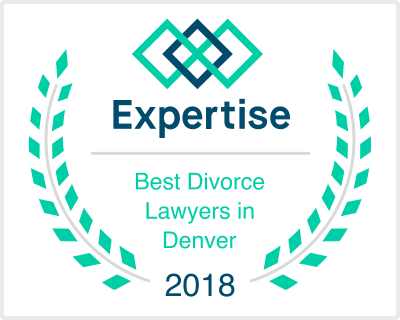 One of the keys to our success at Front Range Family Law is our commitment to resolving your legal issues in addition to providing you with the emotional resources to emerge from your divorce whole. At our firm, we don't just help end marriages, we help create new beginnings. This means that we will leverage our network of experts and therapists on your behalf. We will not only guide you through the legal steps in your divorce or family law issue, but also ensure that you understand how your divorce, children, finances and social media presence are all interconnected. We practice family law in a holistic and compassionate manner. We believe that every couple can divorce with dignity, and we do our best to settle out of court using mediation. But when litigation represents the opportunity to pursue our clients' best interests, we are happy to litigate and we prepare to win. An experienced legal advocate asserting your interests can make all of the difference in the world. Family law issues are challenging; Rebecca Gumaer is your ally. Contact Front Range Family Law to schedule a free case consultation. With family law lawyer Rebecca Gumaer's legal knowledge and experience, you can rest assured that your interests will be protected. Call 303-416-8505 or email our office for more information. We represent clients throughout Jefferson County, including Arvada, Littleton, Lakewood, Broomfield and Westminster.